Hey all, it's Yingchao here! One thing I’ve noticed this year in Young Adult literature is the sudden rise in duologies. 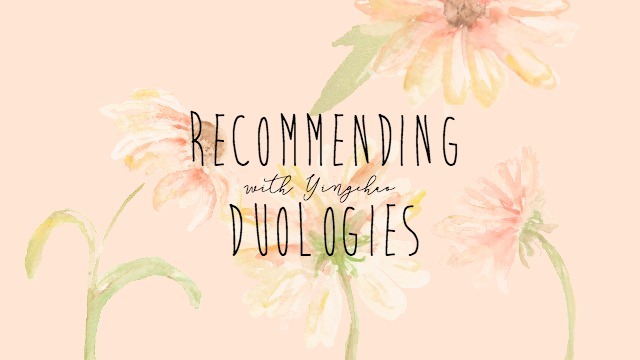 Now don’t get me wrong, there are still bunches and bunches of trilogies and series in the works, but right now, let’s talk about duologies. One word. DRAGONS. Three words. BADASS FEMALE PROTAGONIST. Are you convinced? If not, then hear me out. This epic tale follows a young boy named Eon, who is training to become the next Dragoneye -or master of the celestial dragons. However, Eon has a dangerous secret that is destructive to the Empire of the Celestial Dragons. Between the political maneuvering, mythology, constant plot twists, and intense action sequences, this book sets the basis for the astonishing finale. The world that Alison Goodman built is so vibrant and rich that once you read the first few chapters, it’s near impossible to stop. This lovely duo is based off the legendary tale: A Thousand and One Nights. Similar to the original tale, there is a royal figure who marries a young girl from the village each night before killing her the next morning. When Sharazad’s best friend becomes the victim of the mad boy king, Sharazad makes it her task to personally end her best friend’s murderer. However, things aren’t always what they appear to be and as Sharazad learns more about the secrets behind the deaths of the young brides who came before her, the story heightens to a crescendo. Renée Ahdieh’s writing is so beautiful and the romance made me want to physically tear my heart apart while dabbing at the endless stream of tears. If you’ve been with the Book’s Buzz for a while, you’ll know this is one of Alex’s all time favorite series, and after reading it for myself, there’s no reason why anyone should doubt that. Nowadays, it seems that ALL young adult dystopian is told in the form of a trilogy. But not Reboot. Amy Tintera brings on a different take of the classic zombies that we’re used to from the Walking Dead and Michael Jackson’s Thriller. These are zombies, sans the gore and flesh eating qualities. In this futuristic tale that takes place in dystopian Texas, when people die, they can come back to life as a Reboot. Reboots are faster, stronger, more immune, and don’t have emotions; and the longer someone is dead, the more lethal they become when they are Rebooted. I would highly recommend this read if you’re stuck in a reading slump (or if you’re feeling some Dystopian). The story is fast paced, and you are almost immediately thrown into action. 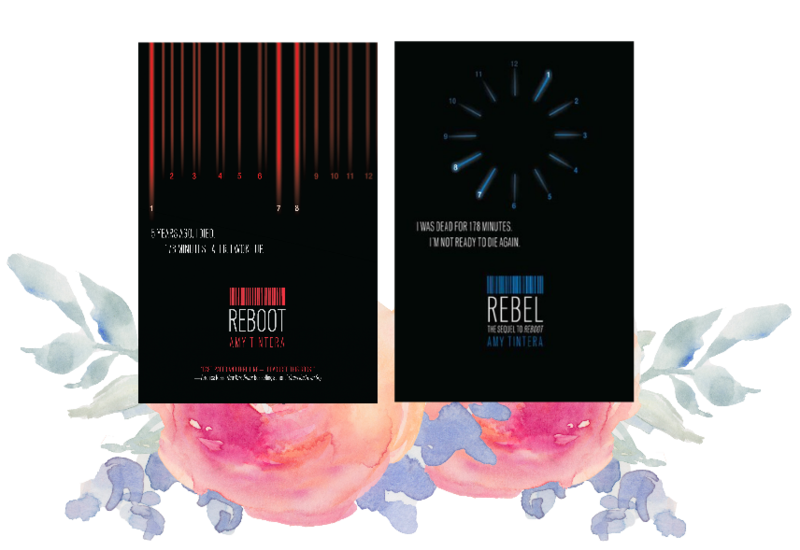 While this duology seems like its like every other YA Dystopian out there, don’t let its genre fool you into thinking it’s not worth the read! THIS BOOK. THIS. BEAUTIFUL. WORK. OF LITERATURE. IS ONLY A DUOLOGY? This is the sort of book where I want more- not another book of sorrows and mishaps- but a third book where the entire cast of characters has found their happy endings and nothing good goes bad for them because these baby cinnamon rolls have just been through TOO DAMN MUCH for more suffering. But anyways, moving on from my mental breakdown thinking about the Dreggs, and Kaz, and Ine-nope, not gonna go there again. Ever since I finished reading Leigh Bardugo’s Grisha trilogy, I have been so enthralled by the universe. The Grishaverse is so vast, yet so intensely described that I could almost go to my travel agent and ask for a ticket to an alternate Russia where people are both feared and revered for practicing Small Science. Six of Crows is the tale of an impossible heist. It’s so impossible that even you -the reader- will go into the story not knowing what’s at the next turn or how the squad is going to get themselves out of the next tangle of turmoil. This book is best going into not knowing anything about the plot, and just being pleasantly and mind-blowingly surprised at every plot twist. It being high fantasy, I do suggest giving this book around 70 pages before you decide to put it down. But I guarantee you, once you decide to finish this book, there truly is no going back from the emotional wreckage you are about to experience. Crooked Kingdom (the anxiously anticipated soon-to-be stunning sequel and finale) will hit be hitting bookstores near you on September 27th, 2016!! Look out for Wayfarer (the long anticipated sequel and finale) at the very beginning of 2017! Let me know some of your favorite duologies! I would have to add Pivot Point and Split Second by Kasie West! Great list! I am reading The Rose & the Dagger right now. I didn't know Six of Crows was only a duology!!!! What?! AHHH I also really adored TWATD and Six of Crows! I haven't heard of Eon & Eona but it sounds really awesome! I'm pretty happy with Lara Jean series being a duology... but then the author decided to add a third book *sigh* Have you ever heard Seraphina by Rachel Hartman? It's also about dragons and I think the girl is pretty badass :D I prefer duologies/standalone than long series because I have problem with finishing series xD This is such a great list Yingchao! Yepp I'm also PATIENTLY waiting for Crooked Kingdom to be released....just around 100 more days to go. 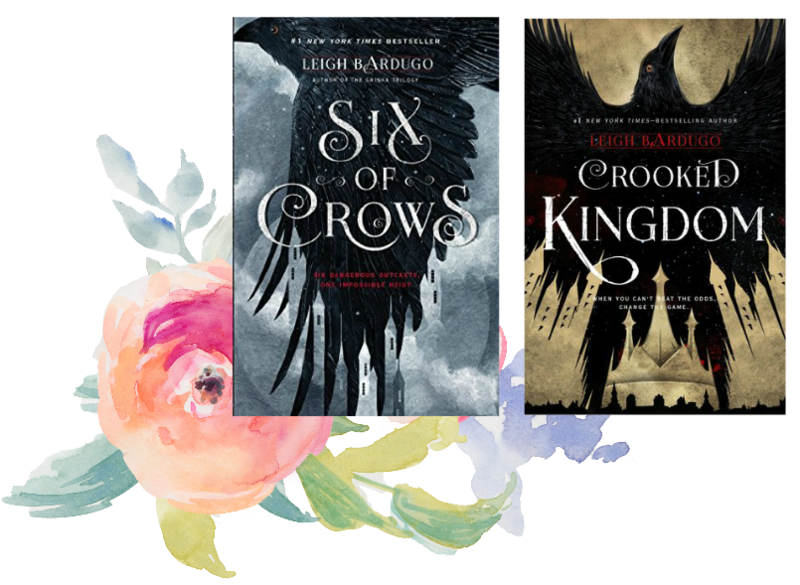 Six of Crows was so good that it had to make this list (and I'm sure Leigh Bardugo won't disappoint with CK) :) I think if you like anything related to dragons, you'd like Eon (it's SO action packed, there's a plot twist that you'll never see coming, and there are also topics of LGBT). 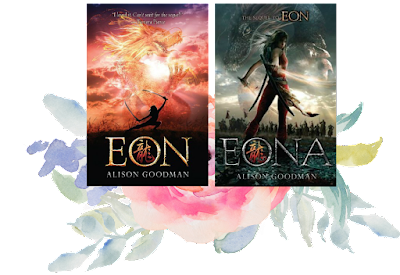 Eon also reminded me of Chinese folklore and ancient China, and no worries- if it doesn't work out for you, that's totally cool. The book does take a few chapters to understand the world and the situation that the main character is in! But if you do happen to pick it up, I'd love to hear your opinions on the book! Duologies are my all-time favourites! I've never been a series person before but not that many books can pull off being a standalone either so duologies are the perfect answer. 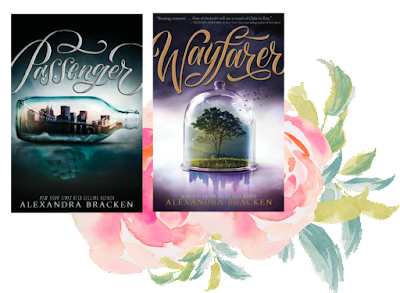 I've only read Passenger and the Reboot series from this list, but I think the rest are on my TBR so I'll have to get to them soon too. I agree!!! Series take so much commitment and sometimes I end up forgetting what happened in the previous installment and end up losing interest in that series. But duologies are so easy to read and adore, but then the issue becomes: I've become so obsessed with this "series" that I NEED MORE MORE MOREEE! haha And by the way, what did you think of Passenger and Reboot? Thanks for putting together this list! I've now added Reboot and Rebel to my Wishlist as I haven't read any good YA dystopia in a while and it sounds little different! Plus, I'm a bit of a sucker for zombies of any kind. Thanks again! I love duologies because I don't have to commit so much haha. 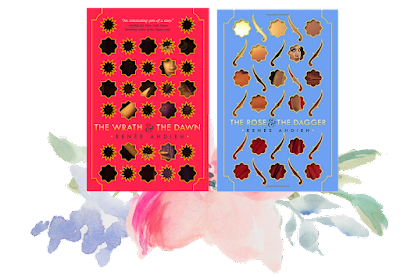 I need to get my hands on The Rose and the Dagger because I loved The Wrath and the Dawn soo much. Eon + Eona sounds really interesting (dragons are cool) so I'll be added that to my list! I love duologies because I'm so horrible at finishing a series. 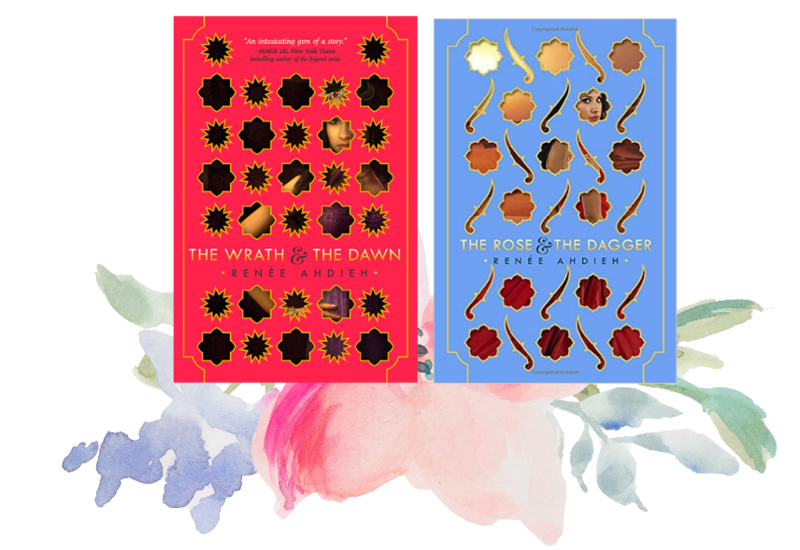 I loved The Wrath and Dawn and must buy a copy of The Rose and Dagger soon. I'm also waiting on reading Six of Crows once it's closer to the release of Crooked Kingdom. I loved Passenger and I had no idea that it was a duology. I'm so excited for Wayfarer! I LOVE THIS POST. I just tweeted last night about how I've been super into duologies, so YAY! I'm dying to read The Wrath and the Dawn duology. Thanks for the great recs. I'm definitely taking notes hahaha!